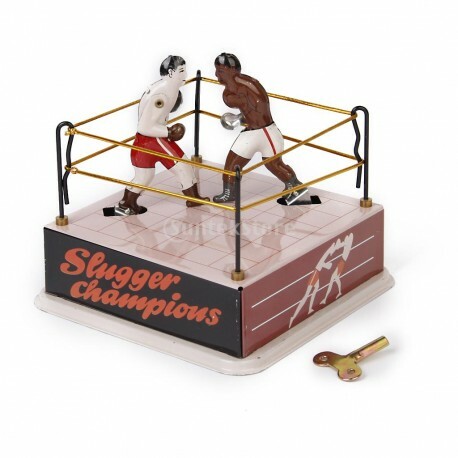 Wind-up, fast and furious, boxing action. Great replica of the chis classic toy from the 1920’s. 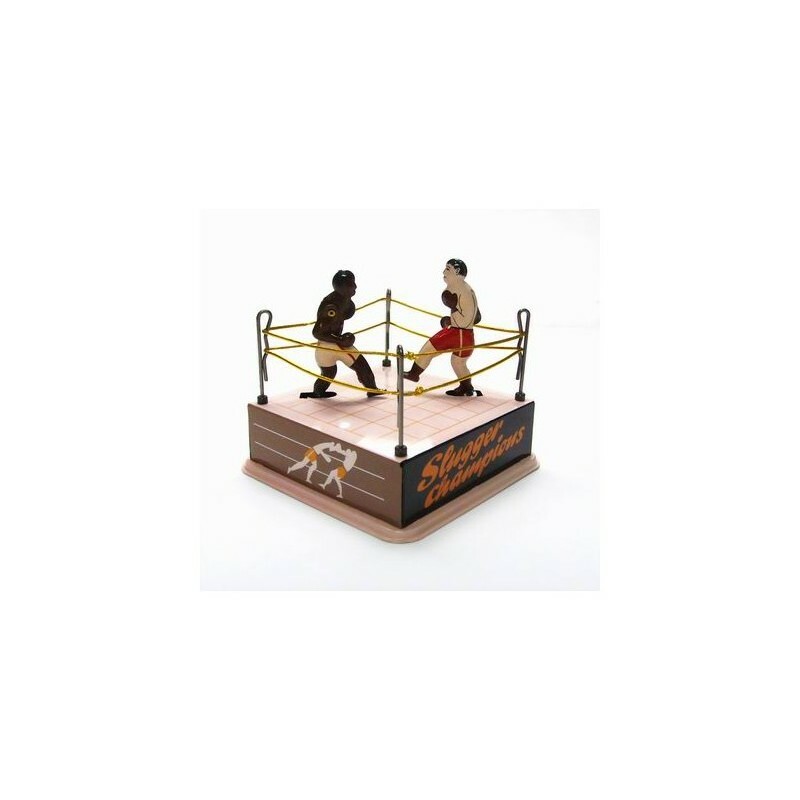 Wind-up lithographed tin boxing ring. Once wound, the boxers trot back and forth, jabbing at each other. Made in China. 13 cm wide. Supplied in printed white box.